Well, then here's something unique to end the year with, and to start the year with. 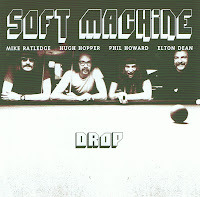 This is a performance with the rare 1971 line-up of Soft Machine, with Mike Ratledge on Lowrey organ and electric piano, Elton Dean on saxello, alto sax and Fender Rhodes, Hugh Hopper on electric bass and Phil Howard on drums, and especially Howard's presence makes this performance one to savor. After so many years, it all sounds very early 70s, with obvious influences from the electric Miles Davis, John Coltrane's mid-60s period, but also vaguely reminiscent of Weather Report, adding the psychedelic elements of the Canterbury rock scene. The method is simple : a complex theme, with changing rhythms and tempi, with always hypnotic rock bass and drums, with the organ creating the unity and structure, over which the sax soars and howls, alternating with wild organ soloing : more often than not a wall of sound which sounds tribal and sophisticated at the same time, with the various themes flowing one into the other to create suite-like music. You often have the impression that they knew how to start the piece, and then anything could happen, but their discipline and interplay keep this music within safe boundaries. Two of the tracks come from their famous "Third" album: "Out-Bloody-Rageous" and "Slightly All The Time". The other tracks come from the later to be released "Fifth", on which Phil Howard plays the drums on the first side of the LP: "All White", "Drop", "Pigling Bland", "As If", "M.C. ", yet all tracks fuze into one long piece on this live date. It is clear from this recording that Howard's violence on the drums, together with Dean's free jazz excursions create quite some tension with the more structured approach by Ratledge and Hopper, but on this album, rather than creating conflict, it leads to absolute fireworks. It is hard to believe, but this jazz band definitely had the same status at that time as a rock band, with performances on television pop programs included. Steve Lake writes in the liner notes : "Der Spiegel (a German weekly magazine) ran an article on the band's genre-transgressing popularity, pointing out that 50,000 copies of 'Third" and "Fourth" had been sold in the previous twelve months in Germany alone". Indeed totally incredible to believe, if you listen to this music. What would it take today to get this kind of audience for genre-transgressing music? This is the way fusion could have gone into, if it had maintained this raw, hard-driving, wild rock attitude performance approach to sophisticated compositions. Watch the Soft Machine with "Out-Bloody-Rageous" with a 1970 line-up. Since the beginning of his solo career, Anthony Braxton apparently needs to move back to a more traditional environment, starting with "In The Tradition" in 1974, yet I have the impression that his standards releases are increasing over the years, especially in this century, but possibly in equal proportion to the rest of his impossible-to-keep-up-with output, with releases such as"8 Standards Wesleyan", "20 Standards (quartet) 2003" album, the "23 Standards" album, there's now "Standards (Brussels) 2006", a nice 6-CD box with a 20-page booklet with texts by Italian author Erika Dagnino. 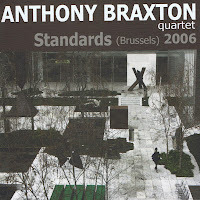 The concept of a "standard" is also flexible in Braxton's mind apparently, with pieces such as Charles Lloyd "Forest Flower" and George Russell's "Exx-Tethics" also falling into the category. The original performance captured in this box was played on four consecutive nights in a Brussels bar, with an Italian trio consisting of Alessandro Giachero on piano, Antonio Borghini on bass and Cristiano Calcagnile on drums. The repertoire has pieces by Gershwin, Fats Waller, Antonio Carlos Jobim, Thelonious Monk, Wayne Shorter, ... with a totally different play-list for each evening. Sure, it is mainstream, the music flows along quite smoothly, post-boppish, with the three Italian musicians doing an excellent job, and Braxton plays along, he is possibly the one going the most outside the compositions, yet not too often, and - to his credit - he lets his band-members lots of space for soloing. The audience is fully involved, quietly listening, and applauding and reacting nicely. The best tracks are the ones on which the band turns the standard inside out, literally then, as on "Exx-Tethics", which, after the bass solo, moves into eery avant-garde territory, first getting rid of rhythm and harmonics, then re-building it with a hypnotic piano phrase and great sax-playing by Braxton. I am not too sure whether the sequence of the tracks on the CDs correspond to the performance itself, but it is clear that on discs 5 and 6, the band seems to be more tuned to one another, which creates more possibilities for a broader freedom of approach. The "standard" still gets usual mainstream attention till halfway down the piece, and usually after the piano solo, for a second, free-er version to start, yet again ending in the main theme. The Gerschwin brothers would possibly have a hard time recognizing the second part of their "Strike Up The Band", a track on which also Giachero turns wild. Throughout the sets Braxton's alto gives a light, shimmering atmosphere to the music, which is further reinforced by the subtlety of touch of the accompanying trio. This is music which sounds relax at moments, intense at others, structured and free, played by a band that clearly enjoys the music they're playing as much as how they can make it their own. One downside of the box is that, even if the performance was recorded live, some tracks end in fade-outs, leaving the somewhat frustrating feeling that there is no reaction from the audience, but that's just a minor comment on an otherwise impeccable set with excellent sound quality. PS - the box indeed gives the George Russell composition the title "Exx-Thetics" instead of "Ezz-Thetics". Thanks Walter for pointing this out! 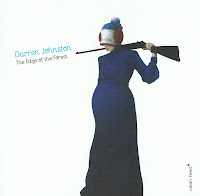 Ever since I heard "Third Impulse" and "Reasons For Moving", I was hooked on Darren Johnston's trumpet playing, and when I noticed that Clean Feed would be issuing an album by him, expectations ran high for what I thought would be an avant-garde jazz album. Yet again, I apparently assume too much. This is modern jazz at its best : rhythmic, with strong compositions, clear themes and structure, great arrangements, and above all, a list of top-notch musicians, with Ben Goldberg on clarinet, Sheldon Brown on tenor sax and bass clarinet, Devin Hoff on double bass, and Smith Dobson V on drums. Rob Reich joins on accordion on the second track, and he fits perfectly to set the tone of the piece. The music has a high degree of complexity, in that various orchestrated things can happen at the same time, at different speeds, with several melodies being interwoven, often with a solo or two on top, and this then changes the whole time, within the same piece. Another great thing about the album is that despite the complexity and the musicians' skills, this music swings, it is joyful and exuberant. It swings ("Cabin 5"), it funks ("Broken"), it bops ("Apples"), and they improvise through history from old to new and back, there are references from Ellingtonian music as much as to Dave Douglas, but in a way, I don't think Johnston needs those comparisons. He is a stellar trumpet-player, with a warm tone and a broad range, and these are equalled by his skills as a composer. Truth be told, I had expected more avant-garde, but he brought a surprise of warm, very creative and captivating modern jazz. And that's a great achievement. 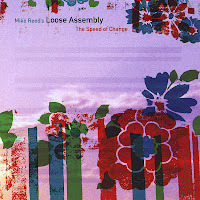 Just like last year's "Last Year's Ghost", this album by drummer Mike Reed gives me double feelings. Some of the tracks are excellent, such as the title track, but some of the other tracks leave me completely indifferent. The band consists of Mike Reed on drums, Greg Ward on alto saxophone, Tomeka Reid on cello, Jason Adasiewicz on vibes, and Josh Abrams on bass. Nicole Mitchell, on flute and vocals, joins on two tracks. Apart from the haunting title track, other noteworthy pieces are "Ground Swell", "X" and "Picking Up Greta". "Soulstirrer" starts out well, but then falls back in mainstream rhythm and melody. The same can be said about some of the other tracks, such as "Garvey's Ghost", a Max Roach composition, which is relatively bland here, and "Tezetaye Antchi Lidj", a Mulatu Astatqe composition, that sounds too joyful (and not raw enough) for the dark, bluesy and sensitive atmosphere on the rest of the album. And that's the sad part of this album, the original compositions work better than the covered pieces. Do the test, and play the album without them, you will see that the overall effect and sense of unity is much better. Yet this CD was praised to the sky by some more mainstream critics. 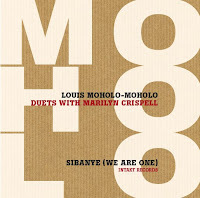 South-African drummer Louis Moholo-Moholo has played in many duo settings with pianists, including album releases with Cecil Taylor, Irène Schweizer and Stan Tracey, and now Marilyn Crispell has the honor to collaborate. And I must say, Moholo-Moholo is quite spectacular. After all these decades of drumming, a period in which he helped shape the European free jazz scene, his inventiveness remains remarkable, avoiding all the easy pitfalls of fixed patterns, automatisms and other mannerisms, his drumming creates the music, it sets the scene, develops the improvisation, ... 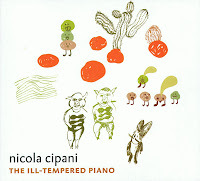 Even without the piano, just listening to the drumming alone, this would be a worthwhile album, but then you have Crispell, whose style adapts well to the context, becoming more muscular and percussive than usual, yet keeping her sense of lyricism. Furthermore, they interact brilliantly. Sudden tempo changes -up or down - happen almost telepathically, with the most beautiful example being in the long "Journey", where after some breakneck speed playing, both musicians suddenly and simultaneously slow down, and Crispell's hypnotic right hand phrase shifts into an almost romantic melody. On other pieces, such as the opening track, her playing is limited to single notes of the right hand, gently interacting with the high energy percussion, slowly building up the piece as it moves along. And that's the magic that you get here: even as they play together, and quite intensely even, Moholo's playing can be hard-hitting, powerful and full of African elements, Crispell can still play her almost classical sounding style of jazz, and this in a perfect match with the drumming, "Phendula" offering the best example of this apparent paradox. On the title track, "Sibanye", the same happens: Moholo keeps the drive going, while Crispell weaves a sparse melody over the percussive storm. A great album on which both musicians excell. 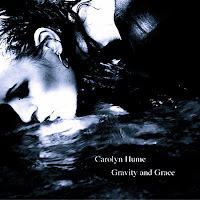 Not hindered by any knowledge, but seeing the Leo label on the cover, I borrowed this CD by British pianist Carolyn Hume from the library. An album on which she is joined by cellist Oliver Coates and vocalist Sonja Galsworthy, and I was expecting avant-garde jazz in line with the label's musical positioning. My astonishment was great when I heard the music, which is slow, almost classical romantic, dark and melancholy. In truth, it would be better placed on the ECM label, fitting in the same category as Vassilis Tsabropoulos and Anja Lechner: clever and highly sensitive, with superb command of the instruments. Coates' cello adds the additional sentimental sadness to the music, and Galsworthy classically trained voice is stellar in this context: precise, clear as a bell, adding dramatic effect at moments, and beautifully. All Hume's compositions are in the same style, with the cello and the voice adding color once in a while and offering slight changes in perspective, leading to sufficient variation to keep things interesting. This is without a doubt one of the most consistently dark and sad albums that I've ever heard. It will console you when you are in that mood, and if you're not, it will certainly get you there. I did not know this Polish-Hungarian band, consisting of Attila Dóra on alto, tenor sax and G clarinet, Rafal Mazur on acoustic bass guitar, and Mieczyslaw Górka on drums, and I'm glad I heard them now. These guys are as free as it gets, but full of soul and free improv leanings, and the trio's musicianship is just outstanding. They start in full force with fierce blowing and hard hitting over a non-explicit rhythm, then the trio moves into more organic sounds, playing with ambient bird songs on the second track. All three of them are a real pleasure to hear, with an unbelievable scope of technique, yet using this always in function of the musical project at hand, coherent and focused. These guys are good at the slow pieces, raw, natural, unbound by any constraints, blowing, plucking and hitting straight from the heart, giving this music a strange directness in its approach, and they are absolutely excellent in the more uptempo hypnotic rhythmic tracks, when Mazur's acoustic bass plays endless, almost tribal vamps with tiny variations and Górka's hard yet subtle drumming driving on Dóra's blowing into wild regions of our human subconscious, be it nighmarish or dreamlike, and anything in between. 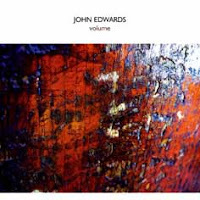 Just because I like solo bass albums, here is another one, this time by British bassist John Edwards, and despite his extensive discography in the free improv scene, this is his first solo release. The album aptly starts with "Matter", a piece in which Edwards demonstrates all the solid ingredients of his trade. Solid means that his notes sound like rocks and stones, not like anything fluid that you would usually associate with music, as if the individual sounds get a common context without linear relationship. "Pin Drop" continues in the same vein, but as the title suggests, in a much quieter envinronment, moving to intense scraping of the arco, followed by tiny rhythmic patterns, almost sounding like African percussion. Some tracks do have a linear structure though, as on the fully bowed "From The Depths", but all tracks always stick to a certain coherence of approach, even if the logic is not always clear, if there is any at all. The real strength is in revealing the mystery of single sounds, the intimacy of man and instrument, the qualitative purity of a single note put in a context, the suprise of the in-the-moment improv, in creating the mystery of a single sound. This is surely music for people with very open ears, and for bass-players. I think 2008 was a great year for modern jazz, and it may take some years, like good wine, before it's really appreciated. An interesting move, at least in my listening experience, is the ongoing evolution of jazz into the realm of pure sound, away from fixed form, but also away from the violent blowing sessions, into very restrained, controlled, lyrical and deeply emotional music. I'm thinking about Larry Ochs, Ingrid Laubrock, Vincent Courtois, Nuts, Dans Les Arbres, Frode Gjerstad, Abelhai Bennani. It is sometimes hard to call this music "jazz", maybe some of the instruments belong to the jazz tradition, the improvisation is, but all the rest is pure musical freedom. 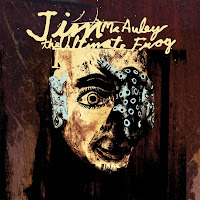 AUM Fidelity managed to order great compositions from some of its regular musicians : Bill Dixon, Roy Campbell, William Parker, leading to three stellar albums, with music that might otherwise not have seen the light of day without the label's support. Clean Feed continues to amaze me with their openness of ears for new and upcoming musical visions, together with their courage to sign on new talent. I'm thinking about Fight The Big Bull, Memorize The Sky, RIDD Quartet, Mauger, Angles, Kirk Knuffke, Sean Conly, Luis Lopes, Empty Cage Quartet, but also with great albums by Braxton, Adam Lane, Mark Dresser, Conference Call, Harris Eisenstadt, ... What a list of names, but most of all, what a list of great quality albums. CIMP is of course one of the long-standing true values in the modern jazz, but they keep delivering great stuff, with the Trio X box being my absolute favorite, but there's also Bill Gagliardi, Stephen Gauci, Joe McPhee & Dominic Duval. The quantity is less, but the quality remains high. Ayler Records kept offering great live performances, branching out into wilder territory, often involving electronics, and why not? They also released great boxes, with François Carrier, Jeffrey Hayden Shurdut, and great albums with Frode Gjerstad and Abdelhai Bennani to name just a few. But of course there are also the new labels: Amor Fati, Sans Bruit, NoBusiness, NotTwo, Skirl, ... who released great and adventurous albums. In the end, musical lists are futile. Paul Rogers' Being is to me like Lou Reed's Berlin: it has such emotional depth and range, that the moments you will listen to it are far and wide apart, but you know one thing: in ten years from now you will still listen to it. And just to show how futile these lists are: in many years from now, I will still listen to records that do not figure on this list, including "Fight The Big Bull", "Angles", to the albums that were released this year by François Carrier, Erik Friedlander, Chris Kelsey, Mark O'Leary, Franz Hautzinger, Taylor Ho Bynum, Daniel Humair, ... and many other albums. I hope that all the little children will receive tiny trumpets, flutes, guitars, drum kits, vibraphones, saxes, and much more. I hope their parents have sufficient mental strength to let them continue doing this. ... yet full of joy and harmony. Only recently did I write that German saxophonist Daniel Erdmann's music gains in power by becoming more free, and less than a month later, he's back with another trio album, now with Benjamin Duboc on bass and Antoine Paganotti on drums. The band is called "The Fairies Of The Rhine", after a text by Belgian author Henri Michaux (and based on the German Lorelei legend, going back to the sirens in Homer's Odyssey), and the title of the album refers to his autobiography. And as if Erdmann had heard me, but he couldn't of course, this album delivers the promise totally. The loosely improvised tracks and the open support by Duboc and Paganotti, make Erdmann delve into his more emotional side, creating soft, intense and warm-toned soloing. Soloing is actually not the right word, because the three musicians create a common universe, with no themes or structure. 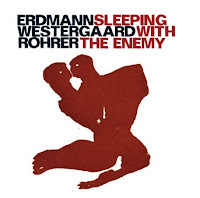 The soft approach does not mean that there are no high energy moments on the album, quite the contrary, but Erdmann manages to maintain the tension by restraining himself. But the slowest pieces are the most impactful, such as "Drames d'Un Instant", which starts with sax multiphonics and arco bass, creating great dramatic effect towards the middle when both bass and sax keep playing the same note for a long time, taking their time to wrestle away from the tonal center. The same approach is made on "Ou Presque", on which the notes themselves seem to have trouble getting out of the instruments, yet it sounds great, sensitive and beautiful. The music flows along, like the river, slowly and inevitably. For Michaux, exploring and experimenting with new things was always the same as an internal search into the own self. He regarded the soul as something fluid and watery, which is difficult to grasp yet there all the same. This trio manages to do exactly the same, and even if some of the tracks are short - 3 less than 2 minutes - they create a quite focused and coherent exploration into soft introverted and lyrical sounds. You have musicians who are so skilled on their instruments that they are fit for the circus. You have musicians who can carry a nice tune and entertain us. Then you have musicians whose mastery of the instrument is totally in the service of creating art. This trio totally fits in the latter category. This is the second part of trumpeter Avishai Cohen's "Big Rain" trilogy, and it is better than the previous one, for one simple reason : increased simplicity. There were first of all more musicians on "After The Big Rain", but also more musical influences. 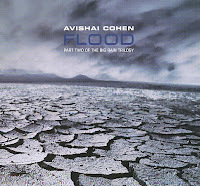 On "Flood", we hear a trio, with Yonathan Avishai on piano and Daniel Friedman on percussion, with a more limited focus of influence, and more coherence in the delivery. There are still references to Don Cherry, especially on "Heavy Water" and "Nature's Dance", highly rhythmic pieces with African roots, but also more meditative and melancholy moments, reminiscent of Enrico Rava, despite the obvious middle-eastern angle. Cohen's velvety sound mixes well with Avishai's romantic piano approach and Friedman's restrained yet functional percussion. There is not much adventurousness on this album, yet that's clearly not the objective of this trio, the focus is on mood, and emotional expressiveness. It is romantic, yet it stays on the tasteful side of sentimentality, demonstrating that great musicianship should not be shy to move into more emotional territory. This blog does not have a regular update on DVD material, but anyhow, here is an overview of the best jazz DVDs that I watched this year. What I like on DVDs are entire performances. I don't like just bits and pieces. I also like good camera work, preferably shot with various cameras and properly edited. First and foremost is the Wadada Leo Smith Quartet with Eclipse, an absolutely stunning performance, with absolutely brilliant editing, a real showcase for what any music DVD should look like (La Huit, 2008). The quartet's CD, "Tabligh", is one of the highlights of the year, and so is this DVD. I also add some noteworthy CDs of this and last year. Especially the Chicago Underground Trio's DVD is worth getting. Soil & Pimp Sessions is great fun. 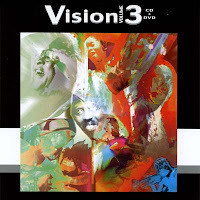 This DVD brings the entire live performance of The Golden Quartet, with Smith on trumpet, Vijay Iyer on keyboards, John Lindberg on bass and Ronald Shannon Jackson on drums. It is filmed with only hand-held cameras and in black & white. But the editing is absolutely superb, and follows the music in split-seconds. Brilliant and spectacular. This DVD shows the French stylist and wonderful composer Henri Texier at work with his Strada Sextet, which released the fabulous "Alerte A L'Eau" last year, and of which many of the tunes are performed here. The CD has almost the perfect balance between interesting rehearsal discussions, interviews and live performance. Especially the rehearsals shed some light on the Texier's musical approach and vision. This first DVD by the Portuguese Clean Feed label captures this great band, consisting of Adam Lane on bass, Ken Vandermark on bass clarinet and baritone sax, Magnus Broo on trumpet and Paal Nilssen-Love on drums, during a live performance in Lisbon. All pieces come from the "4 Corners" CD, except for the last track, "Sanctum", which is on the "Drunk Butterfly" album. Great music and great band, great performance too. The performance was recorded by various cameras and is well-edited. Please see here for a full review of this DVD. This DVD gives an overview of Marc Ribot's career and his musical adventures and boundary-pushing needs, in rock, jazz, fake cuban, classical, klezmer and way beyond all genres. The picture given of the musician is interesting and warm, cosy and broad of scope, which of course reduces the performances to a minimum. And that is a pity. The performances are really too short, and like the Trio X DVD, wets our appetites for more, but it just doesn't come. Well, anyway, after viewing the DVD, I listened to the Cubanos Postizos again. And that was a long time ago. This one is a little bit older, but I managed to get a copy this year. 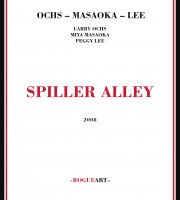 With great performances and interviews with Joe McPhee, Roy Campbell, William Parker, Henry Grimes, Matthew Shipp, Whit Dickey, Joe Morris, Rob Brown, well .... the usual crowd. 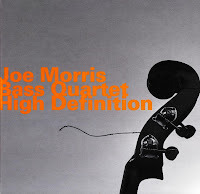 There is a big difference between Joe Morris the bassist and Joe Morris the guitar player. The former is a rhythmic and lyrical player, the latter is more abstract user of his own parlando style : the former sings, the latter speaks. That's a world of difference. To be honest, I prefer the bass player, which does not mean that he did not release fantastic albums as a guitarist, including his recent duet box with Braxton, to name only one. Here he is joined by Taylor Ho Bynum on cornet, trumpet and flugelhorn, Allan Chase on baritone and tenor sax, and Luther Gray on drums. Gray and Morris have performed on several albums together, and actually also recently, together with Allan Chase, in the Steve Lantner Quartet. The music is as free as you can expect it from these musicians, but always very rhythmic, boppish even at times, with Gray and Morris providing the solid, yet shifting foundations for the two soloists, two strong sylists by the way, to interlock and carry the tune, if that's the right word for this music. There is composition, there are themes, however implicit, but the real treat is how these four musicians comfortably move it into zones of opennes and surprise, adding to it, creating depth and emotional power to it, and most importantly, enjoying it. 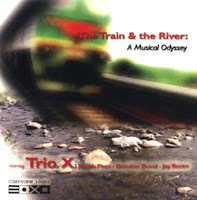 Tracks like "Land Mass" illustrate this well, starting with a unison theme over a solid rhythm, then Ho Bynum taking the first excursion with muted trumpet, with low growls and sad howls, against which Chase responds with more lyrical playing, working around the same tonal center, pushing Ho Bynum into even wilder territory of voiceless cries, while bass and drums keep away from the two struggling horns, leaving them to their battle, while maintaining the rhythm all along. But not all tracks are wild and uptempo, "Bearing" brings a calm and slow theme, with sensitive playing by all four musicians, and it suits them as well as the high energy parts. The theme of "All In One", on the contrary, could come directly from a 60s bop tune, full of the nervousness you may expect, finger-popping as it moves on, with walking-bass and great free soloing. "Super Spot" is a little darker, offering Luther Gray some opportunity for high energy percussion to support the gloomy horns. And the album ends as it began, with free-flowing sounds, more adventurous in approach, but also more interesting musically. One thing is sure : they must have had as much joy playing all this as I had listening to it. In January of this year British drummer Steve Harris died of cancer. 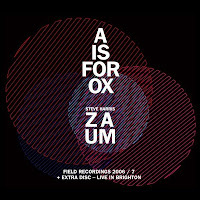 After his fabulous "I Hope You Never Love Anything As Much As I Love You", a double-CD has just been released, with on the first CD a number of unreleased pieces, and the second is a live performance in Brighton in October 2007. I am not sure whether there is much music in the same category as this. Maybe some elements are common with Italian drummer Andrea Centazzo, certainly so in their total disregard for musical genre and an almost total open-mindedness for musical possibilities. I will classify this as "Avant-garde Jazz", but I'm sure Steve Harris would not have liked this classification. The music is improvised, creative, with a sweet and accessible touch, yet fully exploratory of space, moods and sounds. The electronics, guitar and violectra, together with Harris's precise drumming, create a shifting often rhythmic backdrop for many other musical things that happen, for the reeds to come and go in long stretched sounds, for voices that recite repetitive phrases, for ambient sounds to intervene, for silence and rare outbursts of power and violence, and a myriad of tiny things that happen in between. The major strength of this band is its unique sound and its capacity to improvise fully coherent musical pieces that sound preconceived, structured. Nice examples are "Somewhere in Utah", which starts slow and sweet, then evolves into a crescendo of intense electric guitar, real wild, then calms down again. On "Wake The Angels", the reeds and electronics create a slowly evolving soundscape, while Harris's drumming suddenly intervenes with raw uptempo drumming, increasing the intensity of some of the other instruments, but not all, some keep up the slow pace, leading to some great contradictory listening experiences, and then the track shifts into avant-garde sounds without clear structure, apart from a call-and-response between the reeds. The music can change from almost classical moments over King Crimson, jazz and avant-garde - a highly unusual cocktail, but one that is wonderfully intense and cohesive, despite the endless challenging and disruptive electronics, which add to the overall magnificence of the recording. Now, a strange thing happens here, the poetry recited does not bother me at all, because the voice is electronically altered, and the sounds reminds me a little of Laurie Anderson, making this a pleasure to hear, rather than pretentious high-brow verse-mongering. The band consists of Steve Harris on drums, Udo Dzierzanowski on guitar, Cathy Stevens on violectra, Geoff Hearn on saxophones, Karen Wimhurst on clarinets, Jim Black on guitar, Adrian Newton on live and found samples. Guest musicians are Andrea Parkins on accordion and laptop, with the voices of Kathie Prince, Tina Leeming, Fliss Kingston, Julie Harris on some of the tracks. It is an extraordinary collective achievement. A wonderful album to remember Steve Harris. Listen and download from iTunes. The disc version will be released in January 2009. I usually prerfer bands with horns or guitar, because I like their level of expressiveness in a free environment. Yet once in a while a piano trio grabs my attention, and this one is a great one, with Achim Kaufmann on piano, Mark Dresser on bass and Harris Eisenstadt on percussion. 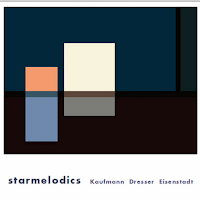 The album starts with the title tune, "Starmelodics", penned by Dresser, and it is a unique composition, unlike any I have heard for piano trio. It starts with light percussive touches, followed by an eery high-pitched arco bass, making the silence throb with tension, halfway the track the drums move into a rhythmic pattern and the piano joins, just to color a little, while Dresser keeps playing a heart-rending arco solo, shifting to plucking and opening the room for the piano to really enter. Staggeringly beautiful. The next track is an angular trio improvisation, with Kaufmann plucking his piano strings while playing his keyboard at the same time. "Vancouver" is a composition by (Canadian) Eisenstadt, with a boppish yet irregular rhythm, gathering speed and intensity, demanding from all three musicians their utmost technical skills to keep up the breakneck tempo. "Birdz" starts with high screeching tones (source unknown to me, but I guess it's the piano! ), followed by a halting, yet emotionally intense bass solo by Dresser. This is a real trio album, with all three musicians not only delivering compositions for the record, but each track, regardless of who wrote it, is the result of the three of them interacting cleverly and creatively. These are three incredibly skilled musicians full of ideas, who do not move too far away into unchartered territories, but they use the know to create different angles of approach, leading to relatively accessible and captivating music. Irish guitarist Mark O'Leary is a geographical and musical adventurer, teaming up in small trio or duo formats with varying line-ups and instruments, ranging from iceman percussionist Terje Isungset over Uri Caine, Tomasz Stanko, Steve Swallow, Alex Cline, Mat Maneri, Matthew Shipp and many more, to recently with young Turkish guitarists, all the time acting as a chameleon, adapting to the other artists' styles, while creating something totally new simultaneously. 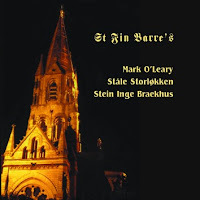 But now, after some travels, he's back in his hometown Cork, playing in St. Fin Barre's cathedral, in the company of Norwegians Ståle Storløkken on church organ and Stein Inge Braekhus on drums. After "Ellipses", released earlier this year, this is the guitarist's second collaboration with Storløkken, who is better known as the keyboard/synth player from Supersilent or his collaborations with, amongst others, Terje Rypdal, a guitarist much admired by O'Leary. The return to the guitarist's hometown also appears a return to music that impressed him during his youth, and to O'Leary's credit, he tries to use this influence to create something new. Not since Jarrett's "Hymns/Spheres" LP have I heard the church organ used in modern music, and it also reminds me of the music of my catholic church-going childhood days (when you basically want the organist to get on with it, so that more fun things can be done after mass), especially with the church bells beginning and ending the album. Buy or download from Leo Records. On the first piece of this album, "Talk in Play, People On Mercy", you will hear a rare wall of sound created by two acoustic instruments : Federico Ughi's drums and Gene Janas' bass. For close to nine minutes they bury every aspect of quietness under an avalanche of rhythmic power and relentless drive, over which Daniel Carter's sax wails expansively and fiercely. The second track, "Flowers Reach Clouds", starts quietly, with subtle percussion and flute, free and open, floating like clouds in the sky, fully breaking open when Carter switches to trumpet, increasing the tempo a notch, but not too much, increasing the drive and the fire, and when Janas (of the Brooklyn fire-jazz band Owl Xounds) switches to arco, Carter goes for his sax, while all the while Ughi's relentless many-armed drumming channels the trio into musical rapids and leading them through it. The real treat, however, is the last long track, "Protecting Cosmos", in which Ughi's drumming keeps his unbelievable energetic power, full of polyrhythmic pyrotechnics, with Carter and Janas at the start sounding as if they're accompanying a drum solo, but then Ughi slows down and gives the space to Carter and Janas, who keep things pretty meditatively open. But guess what? Ughi can't stand the silence, he can't stand the quiet, and in he comes again in full force, like a percussive pandemic, pushing the two others on, and on, and on. Half-way the track Carter starts with a rhythmic theme, boppish, with even a discernible repetitive pattern in it. Ughi calms down at times, allowing Janas to come in with some walking bass, and Carter to further explore his very expansive spiritual soloing, that evolves into fierce blowing as the rhythmic storm picks up momentum again. I am not sure how they're "protecting the cosmos", but they're sure as hell creating one. This is free jazz from the old school: raw, expansive, powerful and magnificent. 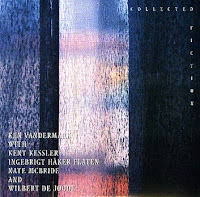 One more important record to the art of the reed & bass duets, now with Vandermark on reeds, and some of today's greatest modern jazz bassists: Ken Kessler, Ingebrigt Håker Flaten, Nate McBride and Wilbert De Joode. Not only because of the variety of reeds used, and the different styles of the bass players, but also the approach differs greatly on all these relatively short improvisations. Some are fierce and wild, some boppish, and some are very sensitive and restrained, creating a kind of tenderness which is unusual for the usually muscular Vandermark. The sequence is Kessler (six tracks), Håker Flaten (five tracks) for the first CD, which is called "Day", and then McBride (five tracks) and De Joode (six tracks) for the "Night" CD. Although the pieces are improvised, they were rehearsed around specific thematic sounds, and the best take made it to the disk. 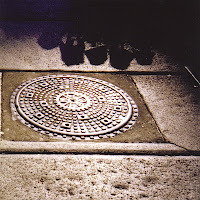 The recordings were made on February 4 and 5 of this year in Chicago, the city where Vandermark, Kessler and McBride reside. The twenty-two tracks show a broad variety of angles for the sax-bass duo, demonstrating not only the skills of the musicians, but also the breadth of the subgenres of modern jazz, the wealth of possibilities of improvisation, using influences from blues over swing to bop and free. From Mingus over Giuffre to the wildest avant-garde, it is always brought with conviction, depth and focus, with Vandermark often a defining element in the music, yet sufficiently adaptable to match the styles of the four bass-players. Rich and subtle. American acoustic guitarist Jim McAuley made this highly enjoyable double CD of duets with the late Leroy Jenkins on violin, Nels Cline on guitar, Alex Cline on drums, and Ken Filiano on bass. McAuley's musical starting point is not really jazz, but rather folk with classical elements, and then of the instrumental avant-garde and improvised kind, a unique universe if you want. The music is intimate and adventurous. All the tracks offer different capsules of exploration, in which the two musicians stay quite focused around the center of the newly discovered sound environment. There are no wide digressions or expansive moments, it's as if the musicians play with a strange kind of wonder for the small and unexpected. It all sound very fresh and subtle. The album title refers to a short story of a man looking for four frogs to form a choir, each being able to produce a different pitch. He unfortunately dies in the act of capturing the last frog, the one with the perfect middle C, leading to the moral that "the good is the enemy of the perfect". Perfection is not sought here, but rather authenticity. The pieces were recorded at four different dates, and the fact that they are quite evenly distributed over the two CDs offers a welcome and interesting variation of approaches. 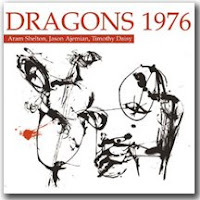 "Dragons 1976" are Aram Shelton on sax, Tim Daisy on drums and vibes, and Jason Ajemian on bass. All three were born in 1976, hence the name of the band, and they met in Chicago. With this trio they explore without boundaries, yet never leaving solid ground either. They take their time to do that, listening carefully and moving forward in a very cohesive way. The music is nice and sensitive, melodic and focused. There are moments of extreme slowness, as on "Loaded", or "She Lay Sleeping", lullaby-like with Daisy on vibes, working full of subtlety with and around silence, but on some tracks this approach explodes in full force, as on "Hold In High", beginning slowly yet offering Daisy the opportunity to up the tempo during a drums solo. "Too Tight" starts with a fast rhythm for a change, over which Shelton delivers an almost speaking solo, sticking to the same tonal center, yet when Ajemian joins, it becomes more boppish and melodic. These are three good musicians, with lots of possibilities, fun to hear, yet their music could use little more of a distinct approach to be really gripping and unique, it is a little bit too nice and conventional to my taste. In the history of music, from the creation of the universe till today, "Lonely Woman" stands out as an absolutely sublime composition, regardless of who plays it. Any performer who lays his or her hands on this Ornette Coleman piece, regardless of the instruments used, regardless of the style in which it's played, is guaranteed to make a success of it. Even the most incompetent cannot destroy the sublime. Yet it is up to the very good to present this wonderful composition in a new dress, as does this Polish trio, consisting of Waclaw Zimpel on clarinet and bass clarinet, Wojtek Traczyk on double bass and Robert Rasz on drums. "Lonely Woman", with arco bass and bass clarinet, is played very slowly with lots of emotional intensity, very free, evolving into barely audible high clarinet sounds weeping over a single sustained note on arco and finger-played drums, ending in dark silence. This trio's play list is diverse, from Dolphy over Coleman to Nirvana, interspersed with some of their own compositions. The music is rhythmic, powerful, sensitive, delivered with care and passion. And free. Even Dolphy's "Straight Up And Down" is played in a totally non-straight way, starting with Rasz's creative drumming, evolving in the joyful theme, which is both respectful of Dolphy while adding to it. The Nirvana tune "Where Did You Sleep Last Night (My Girl") is the rawest piece on the track. Traczyk's bass plays an important role in most pieces, sometimes reminding me of Charlie Haden in his deep and warm approach, with a great sense of finding the right note. The "intro" is a bass solo and "The Light" is a slow track on which the bass really shines. 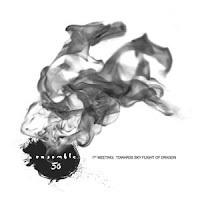 But don't misunderstand me: this a true trio album, with Waclaw Zimpel leading the dance, very openly and with lots of fresh ideas and approaches, unhurried but precise, and with Robert Rasz's drumming restrained and subtle, as is the music itself. Free, gentle, sensitive and open. Listen to samples on MySpace. After in "In Krakow In November", "How Many?" and "Clouds", this is the fourth duo recording of Natsuki Tamura on trumpet and Satoko Fujii on piano, and it's again a hit. As usual, they are the masters of paradox, managing contradictory feelings and statements, mixing drama with fun, calm and nervousness, composition and improvisation, but all within the same very coherent idiom. The album consists of nine tracks, of which some are very short, such as "Tokyo Rush Hour", a very nervous and thundering piece, creating the typical almost cinematic imagery as on the duo's previous albums. The second piece, "Nudibranch", is dark and gloomy, "Curt Response" is bluesy and boppish, "Stone Flowers" is soft and melancholy, "Ultraviolet" is avant-garde, with Tamura sounding like a dying rhino hoping to be relieved of its pain, but they're still at their best on tracks like "Spiral Staircase", with long angular themes, played in fast unison, dramatic, powerful, physical in its delivery, full of counter-rhythms and energy. Fujii is a master in playing these wonderfully fast almost joyful unison lines with her right hand, while offering a different, dark and menacing story with her left hand. Staggering! The last track, "Triangle" is over twenty minutes long, and it evolves like a suite, with different themes and approaches, slow and eery, with alternating melodic parts, zen-like passages of absolute calm and moments of distress, alternating duets of solo piano or solo trumpet. And when you think that the whole piece is improvised, you get that typical surprise of a sudden break-neck speed unison line, after which the improvisation continues, evolving into a bizzarre dialogue full of short phrases ending in question marks, but then again, the finale is a rapid firework unison, fitfully concluding another stellar performance. I'm sorry to be so excited. Regular readers may know that I am quite a fan of saxophonist Larry Ochs, not only because of his mastership on the instrument, but also because of his creativity in coming up with new musical forms, while still keeping his wonderful emotional delivery. An earlier incarnation of this trio released "Fly, Fly, Fly", with Joan Jeanrenaud on cello, now replaced by Peggy Lee, and with Miya Masaoka on the Japanese koto. The music has again this unique quality of being at the same time vulnerable, fragile almost and very solid in its emotional depth and daring in its adventurousness. This is music that you haven't heard before and it is basically beyond comparison. It is light, intricate like the best of lace, subtle, precise, genre-blending yet also genre-defying. It is light, sparkling and tasteful like the best of champagnes. Don't expect melody or fixed forms, the basis is almost zen-like, like bubbles of sound welling up out of nothing, unobtrusive and full of wonder. The three instruments play with the softest of touches to create a whole out of these tiny bits of sound, and these sounds themselves are often extricated from instruments in a way that's rarely been done before. At first hearing it may be a little tough to get into it, yet the more you listen to it, the more access you get to this strange musical universe, the more compelling it becomes. Highly recommended! I am not too familiar with the work of German saxophonist Daniel Erdmann, apart from his Erdmann 3000 project, a quartet that brings modern mainstream jazz. This one is a little different, in a trio with Jonas Westergaard on bass and Samuel Rohrer on drums, the music is a lot more free, and it suits the saxophonist well. The music is open, often with bluesy inclinations and scales, clearly working around pre-conceived themes and structures. It is light-footed and sensitive, vaguely reminiscent of the great cool jazz sax-players, slow and unagitated, creating a moody atmosphere, with the exception of the uptempo "Bülent". Nice music. PS. The last track is dedicated to Czech football (soccer)-player Jan Koller (I think), one of the rare moments in jazz that a track is named after a football-player, with the exception of "Why Eye" by The Geordie Approach, on which all tracks are named after the all-time stars of Newcastle United (Beardsley, MacDonald, Keegan, Gascoigne, Shearer, Milburn, Robson). Unusual... to say the least, but why not? Austrian trumpeter Franz Hautzinger is a true experimentalist, changing the approach to his instrument (blowing techniques and the use of electronics), but also to music, starting with jazz, then to pure improv and musical experimentation, he now seems to bring a synthesis of sorts on two radically different albums, while still remaining adventurous. The first is more rock-oriented, the second is a multi-layered solo soundtrack album. 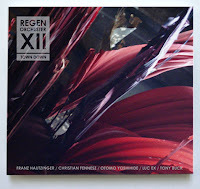 The Regenorchester (Rain Orchestra, named after the weather in London when the band gave one of its earliest performances) is a band with shifting membership, now in its twelfth incarnation, with Hautzinger on trumpet, Christian Fennesz and Ottomo Yoshihide on guitar and electronics, Luc Ex (of The Ex) on bass, and Tony Buck (of The Necks) on drums. Since Miles Davis, the combination of rock and trumpet has been a quite successful one, if you think of musicians such as Cuong Vu, Nils Petter Molvaer, Natsuki Tamura. On the fiercest pieces of this album, especially Tamura's unequalled "Hada, Hada" comes to mind, mixing unrelenting industrial sounds, a heavy beat, a wall of screeching guitar and mad trumpet playing. The track "RainDay" is an absolute monolith of musical power and drive, one of the best combinations of jazz and rock that I've heard. There is no sweetness to be found in the world of the Regenorchester, but lots of subtlety, both in the quiet as in the more violent moments. Some of the soft pieces are eery, dark, with lots of tension and experimental electronics, through which Hautzinger's voiceless processed blowing streams, and with great effect. And that seems to be the right word to describe this kind of music: it is more about the creation of "effect", than about expressivity, and in that sense closer to Pink Floyd (but not musically) than to Miles Davis, but that should not spoil the fun. Superb. Hautzinger released his first solo trumpet album "Gomberg" in 2000. He released "Gomberg II" in 2007, which moves aways from the reductionist sounds, and is again back in the territory of harmony and rhythm, with lots of overdubs and careful construction, sometimes almost sounding symphonic. 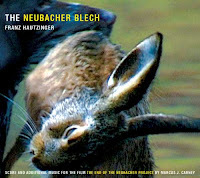 On the soundrack for the documentary by Marcus Carney, "Neubacher Blech", he continues in the same vein, but with added ambient sounds. Even melody resurfaces after so many years of exploration. As Hautzinger explains in a recent Wire Magazine interview: "I crossed this point and continued on, totally excluding the old parameters of harmony, rhythm and melody. But after a while I thought 'no', I can understand why pitch and melody are not over. You can see it in the development of painting, after Mondrian, a lot happened. Different possibilities". The album consists of 14 short tracks, all around 1 minute long, and one long track of over half an hour. The music is somber and fluid, and concessions were made to the requirements of movie making, resulting in more atmospheric moments. This does not mean that this music is mainstream or that it really left its experimentalist's streak. It still requires attentive listening, yet it's less hermetic and hence a little more accessible. Good for us. It's been a while that I reviewed the great William Parker and Hamid Drake rhythm section, but it's as usual a great pleasure to hear them, for the fourth time together with Norwegian alto saxophonist/clarinetist Frode Gjerstad. Gjerstad is someone who can build a piece while improvising, moving it forward, slowing down, then intensifying again, playing short bursts or long phrases, but it remains focused, a real and unusual strength. And Parker and Drake are the perfect counterpart for this, broad-ranged in possibilities, flexible in their adaptative powers, creative in the use of their skills. Listen how Parker suddenly starts double-timing his bass-line on the first track, adding a totally different dimension to the piece, without rushing it on, then falling back into the tempo, yet when he double-times again at the end of the track, Drake follows suit, and it becomes a great intro to get his drum solo going. The second piece becomes a lot more emotional, yet also a little more abstract too in Gjerstad's phrasing on Bb clarinet, with Parker starting on arco, then shifting in and out of fixed rhythmic patterns, Drake just accentuating the solo's evolution, yet halfway the track Parker moves into one of his typical boppish vamps, which Drake can't resist, over which Gjerstad plays high-pitched notes, falling into the rhythmic pattern too, but not for long, moving back into abstract chaos, then playing back together, ending in total calm and warm restrained beauty, with Drake even using his brushes! 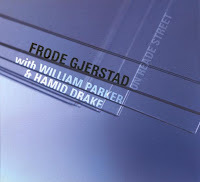 The third track is the longest, the most jazzy too, and if I'm not mistaken Gjerstad even starts using one of Fred Anderson's typical phrases, something that Parker and Drake must have felt familiar with, yet just as with the previous tracks, they vary a lot, yet it stays interesting throughout, with sensitive moments, high intensity moments, playing on the border between free jazz and free improv, the US meeting Europe, but it all fits within the same coherent approach. They deliver on expectations. 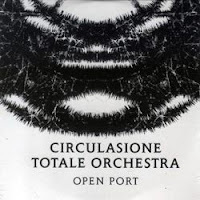 Circulasione Totale is one of Gjerstad's projects for larger ensemble, which usually consists of a varying line-up, yet mostly with the usual selection of top Scandinavian free jazzers, with Bobby Bradford on cornet. From this band, I liked Borealis best (it's the smallest version of the band), but I must say I am not too familiar with their other albums. This album was recorded in May of this year, and the band consists of a great selection of American, British and Scandinavian musicians: Bobby Bradford on cornet, Ingebrigt Haker Flaten and Nick Stephens on bass, Frode Gjerstad and Sabir Mateen on both clarinet and saxophone, Anders Hana on guitar, John Hegre and Lasse Marhaug on electronics, Louis Moholo-Moholo and Paal Nilssen-Love on drums, Borre Molstad on tuba, Kevin Norton on vibraphone, Morten J. Olsen-electronics and percussion. I am not a fan of larger bands (not often). I am not a fan of electronics (not often). I feel I can't judge it. It's does not relate to me. It has some great moments, but most of the times it sounds like they're not co-operating to reach results. Especially the electronics belong to a different universe, as if someone would be cutting the canvas while you're making a painting. But some parts are truly excellent, especially the third track, some are horrible, as is the fourth one. What can I say? 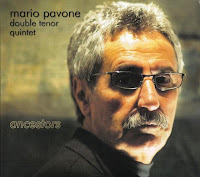 Bassist Mario Pavone has been in the forefront of modern jazz for the last four decades, and even if many of his generation got stuck in the style for which they were once in the vanguard, Pavone has kept evolving, and still does. He is most known from his collaborations with Paul Bley first, and Bill Dixon later, then Thomas Chapin, yet his own Nu Trio/Quintet and sextet bring his music, in an always very recognisable style. That style consists of a strong rhythmic drive, often in a thundering mode, with tight arrangement around complex, often angular, themes, then followed by his full trust in his fellow band members to improvise in line with the mood and theme of the piece. And in order to do that, he managed to have a great selection of musicians to play in his bands, with first and foremost Tony Malaby on sax and Peter Madsen on piano. He played a lot with Matt Wilson on drums, but here with the equally stellar Gerald Cleaver. Jimmy Greene on tenor and soprano completes the quintet. Pavone is a wonderful bass-player, a real driving force of melody and rhythm, and he is the absolute backbone for all tracks. The third track "Tomes", a typical Pavone composition, illustrates this well. The bass sets the tone of this uptempo piece, the band plays the theme, the bass and drum then propulse the horns forward, relentlessly, first Malaby, then Greene, then Madsen, but listening to Pavone's bass and Cleaver's drums in support of the solos is as fun to hear as the solo itself, they're all in the frontline, adding things, changing things, never content to repeat the same patterns. Same thing with "Iskmix", a fast and nervous rhythm provides the foundation for a slow horn theme, that moves on in great contrast to the abstract and wild piano lines of Madsen, then halfway the quintet comes beautifully together as a kick-off for a furious bass solo, followed by a double intertwining sax solo, ending in quiet resignation. "Arc For Puppy" has this great contrapuntal sax theme, quite dramatic in its development and orchestration, the saxes are a little fiercer than on the other tunes, full of heated tension. I will not describe all tracks, but the music is clever, carefully composed, fast and nervous, full of surprises and drama, with great improvisations by a star cast of today's jazz musicians. If New Age music can be labeled as horizontal music (something happens and it barely changes till the end), then Pavone's music can be qualified as vertical music (something happens and it keeps changing all the time), full of agitated depth and creativity. I like my music a little more free, but for the post-bop modern jazz fan, this album surely is a must. The French label Sans Bruit started a collaboration with the Swedish Ayler Records, resulting in two excellent French sax trios, and as usual on Ayler, great live performances. I had once heard Abdelhaï Bennani's "Ensounded" record, and qualified it maybe too fast as good but not more than that, but after listening to this performance, I may have to go back and revise my opinion. The trio conists of the leader on tenor, Benjamin Duboc on bass and Edward Perraud on drums. 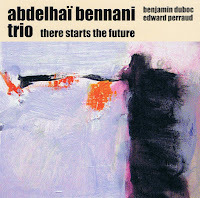 From the very beginning Bennani sets the scene by playing very intense, almost agonizing tones, in short bursts and wails, creating openness and tension at the same time. Duboc reacts well, both pizzi and arco, and Perraud joins with a very implicit rhythm, keeping the tempo yet playing assymmetrically, now on the toms, then on the cymbals, some rolls and a rimshot. The music hesitates, tries to move forward, perplexed and in full suprise, yet it moves on, and as a listener you would expect a moment of release, a moment when the thing explodes into unrestrained hitting, plucking and blowing. You can wait for nearly 30 minutes on that first track, but that release does not come, you stay in this little sound universe the trio has created for you : intense, open, hesitating, agonizing. That doesn't mean that nothing happens, quite on the contrary, the story they tell is an interesting and captivating one, there are variations, in Bennani's tone, in some sudden walking bass and tempo increase, but it just will not give that moment of release, before you know it, they're back in their small universe, as a trio, for a bass solo, for some powerfully subtle drum beats. The second track starts more uptempo, yet don't expect themes or patterns, Bennani keeps uttering his highly sensitive squeals, and then it evolves into slowness, with little sounds produced by the three instruments, apparently only there as boundaries for silence and open space, yet the slower they play, the less sounds you hear, the higher the intensity. You get the feeling that some huge thing is trying to get out, emotionally overpowering and potentially explosive, yet it doesn't, it's duly chained within this trio's sound universe, making the story even more compelling. And that's the amazing paradox of this trio : how free improvisation can create such a powerful feeling of confinement and restraint (whether deliberate or not). A great listening experience for those with open ears. 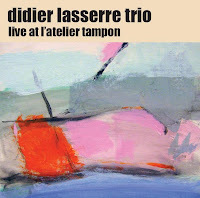 The second album brings us a trio consisting of Didier Lasserre on drums, Sylvain Guérineau on alto, Jean Rougier on bass and reed flutes. The performance is built up of four long tracks of free improvisations by these three excellent musicians. The music is warmer than Bennani's, more jazzy in its overall sound, yet as free as it gets. Yet despite the tracks are only half as long as on Bennani's, there is also a little less focus in the improvisations, despite the intensity and the adventurousness. 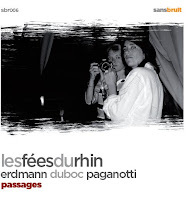 The best track is 18 minute long "La Tregua", on which Guérineau's playing is quite emotional and the overall progress of the trio's interaction more coherent. The sound quality is not superb, it all sounds as if you're listening from a distance, but the enthusiasm of the small audience, their spontaneous reactions and applause make up for it. A nice performance. Download or buy from Ayler Records. Sorry to become boring, but today there is even more material available for download at eMusic from ECM (unfortunately only in Europe, from what I understand). (It also remains a mystery how eMusic can make the mistakes they make about the artist who released the album. Half the albums are wrong, so be careful when you browse through their site. Only trust the cover of the album). But one of my favorite bands is still Old & New Dreams, whose "Playing" is also available for download. Don Cherry, Charlie Haden, Ed Blackwell and Dewey Redman, basically the traditional Ornette Coleman Quartet, minus Coleman and plus Redman (or the quintet minus Coleman). They play Coleman's music, and how! 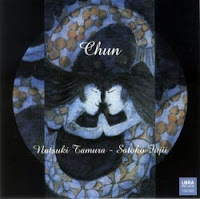 This music is playful (thanks to Cherry), spiritual, deep, highly rhythmic, full of emotion and wonderful interplay. With great tunes such as Coleman's "Happy House" and "Broken Shadows", and Cherry's "Mopti". One of my lonely island picks. Some people could think that I'm paid by eMusic to promote their download business, but trust me, that is unfortunately not the case. 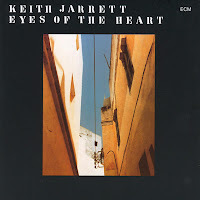 Just for your information, eMusic now has a quite substantial number of the ECM catalogue available for download, including many of the Keith Jarrett trio recordings with Peacock and DeJohnette. Regardless of this great service, the people at eMusic are most of the time wrong with the name of the artist, as they are also very often with the indication of the musical genre (sometimes not able to tell the difference between jazz and punk, between easy listening and avant-garde). ECM brought me to jazz, mainly through Abercrombie, Jarrett, Rypdal and Garbarek. 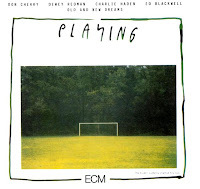 And in a way ECM also made me appreciate my then girlfriend, now wife, so many years ago, who had this album by Chick Corea, Dave Holland & Barry Altschul, called A.R.C., an interesting avant-garde piano trio for a 18-year old to have, and which she liked. At that age, that was exceptional (and she still is!). In a way, ECM was instrumental to get me hooked to my wife (but pleae don't tell her, and don't tell ECM). I can recommend all of the above, yet I haven't heard all of the albums now made available. There still might be some treasures to find here.